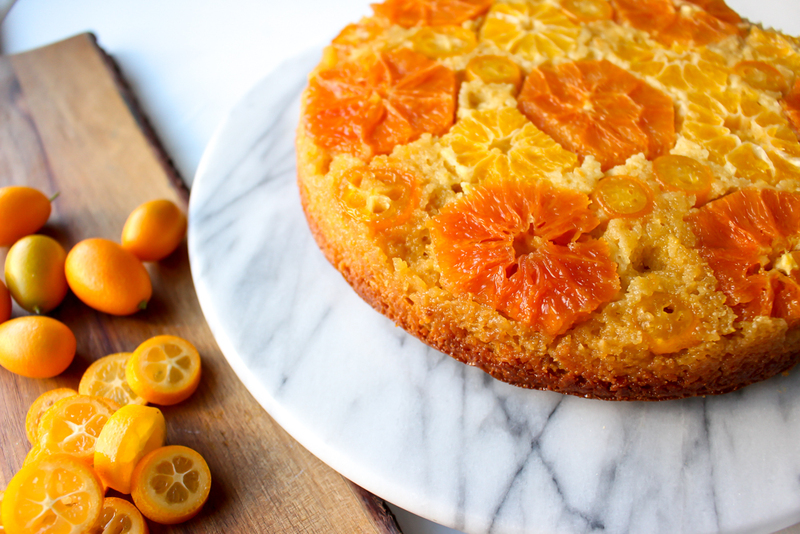 Upside down cakes, specifically citrus upside down cakes, are a dime a dozen this time of year. And I get it! 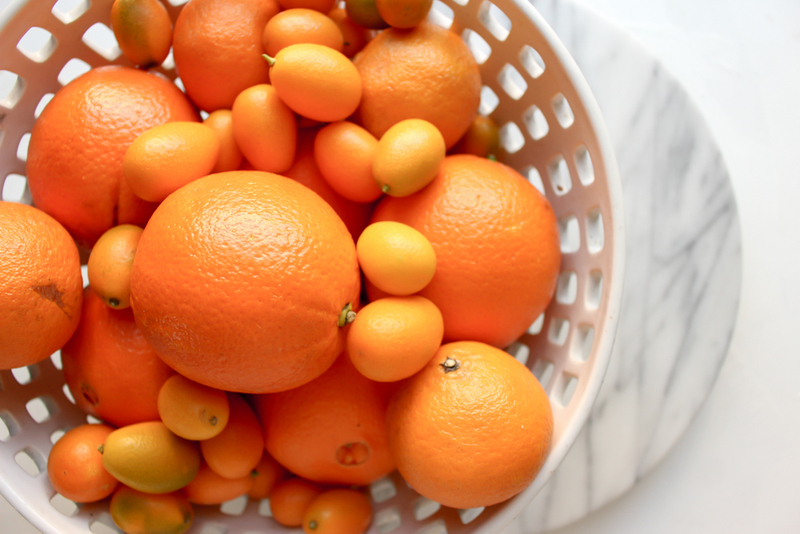 Citrus is where it’s at in the winter and what else do you do with the giant bag of oranges or lemons that you find in your fridge? Also, WTF do you do with kumquats? I always want to buy them because I’m a sucker for anything miniature, but they freak me out. And I’ll be honest: I’ve read online that you can eat them raw, skins and all. STRONG DISAGREE. The ones I’ve had are entirely too bitter to eat without any cooking. But this cake is the magical trick! 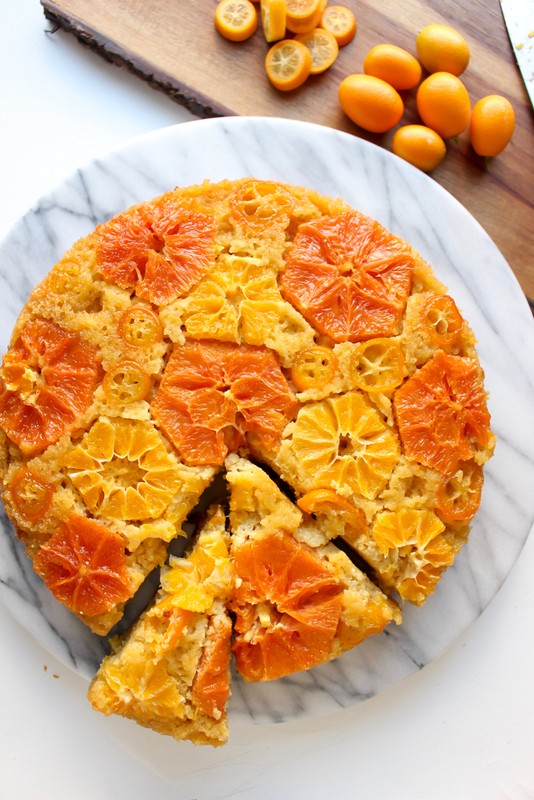 To make this cake dairy-free, just sub in some non-dairy yogurt and use clarified butter or coconut oil for the syrup. When prepping your pan, butter JUST the sides of the pan, not the bottom. The butter/sugar syrup won’t spread out properly, which means, you’ll have pockets with syrup and pockets without. Peel the oranges and clementines, removing the outer pith. Slice the oranges into 1/8-inch thick slices (you should get about 7 slices per medium orange) and remove the seeds. Set aside. In a large bowl, whisk together the yogurt, olive oil, brown sugar, and eggs. Stir in the corn meal, almond flour, baking powder, baking soda, and salt. Stir to combine. Add the orange zest and almond extract and stir again to combine. Set aside. 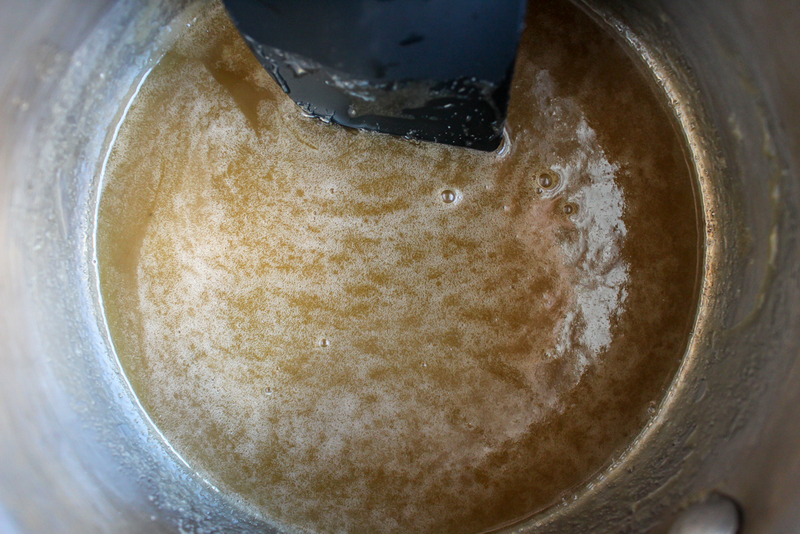 To make the sauce: In a small saucepan, combine the butter, brown sugar, and water. Heat over a medium low flame and stir frequently, just until the sugar has dissolved and the sauce thickens slightly, about 3-4 minutes. Pour the hot syrup into your prepared baking pan and swirl to cover the bottom of the pan. 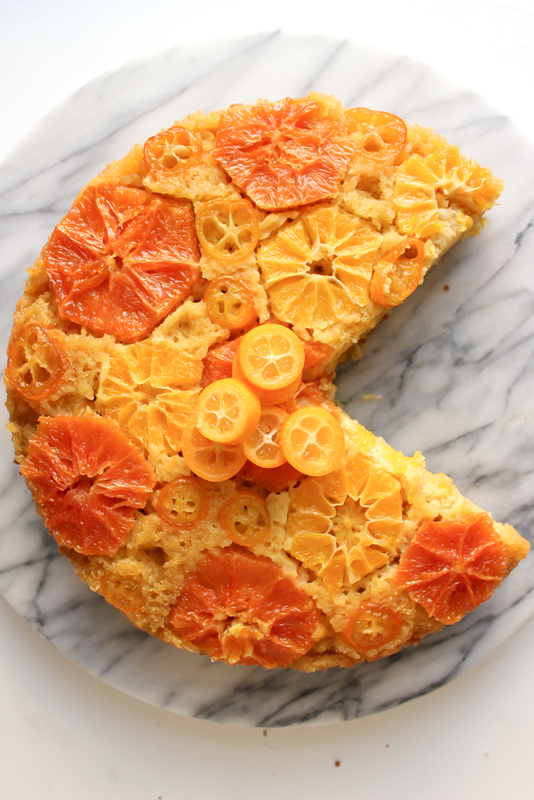 Place the orange, clementine, and kumquat slices in any pattern you like, nestling them into the syrup. It’s okay if there are some open spots. Top with the cake batter and smooth out gently so you don’t move the citrus. Bake for 23-25 minutes until a toothpick inserted in the center comes out clean. Let cool for 5 minutes. Run a small knife around the sides of the cake. Place your cake plate upside down over the cake and, using oven mitts or a towel to protect your hands, carefully invert the cake and place the cake stand right side up. Carefully lift off the baking pan, being careful of any steam that might escape.